For our last whole day in Beijing we taxi'd and metro'd down to a place a little beyond the south west corner of Tiananmen square. 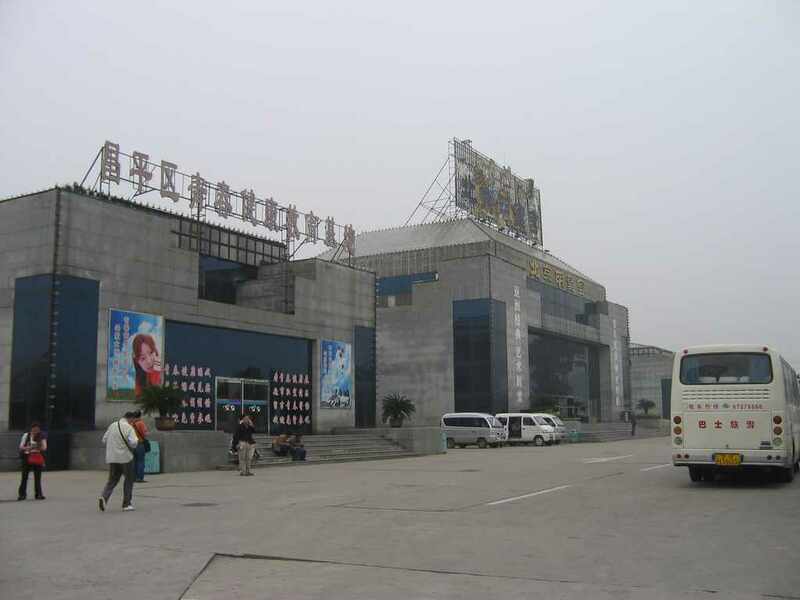 Between 6:30am and 8:30am tourist coaches leave for a paltry fee of 50 Yuan. They all head out to one of a few different stretches of the great wall, stopping off at a bunch of different places along the way. We arrived at 8:10am and a quick conversation with the people at the bus park revealed that the last bus for the Simatai part of the wall had left at 8:00am, along with all the buses to everywhere except the most popular (but very busy and touristy) part of the wall at Badaling. After agreeing to this the man ushered us to his car. After a couple of confirmations as to what was happening we nervously agreed. Fortunately all he wanted to do was drive us back closer to the corner of Tiananmen square where the buses actually depart from. We were the only foreigners on our particular tour group so we were verbally on our own a lot of the time. 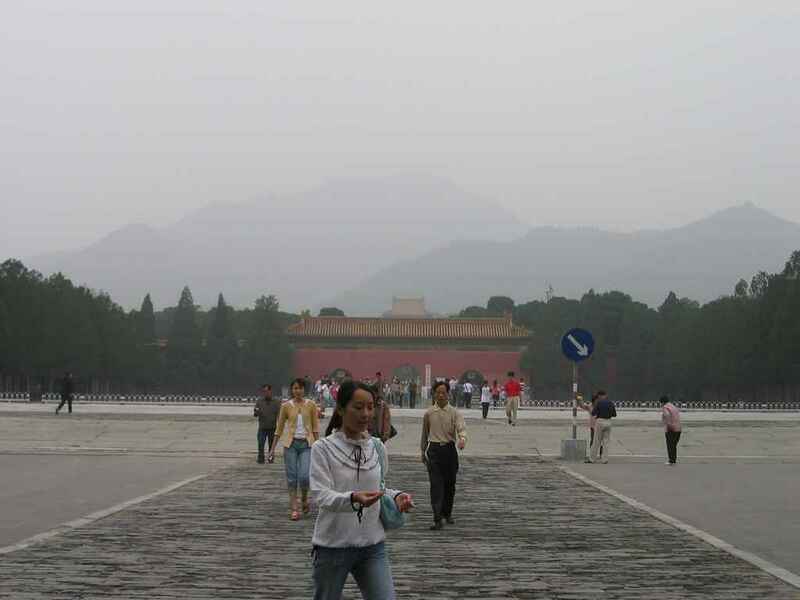 Most of the hotels in Beijing run day tours to the wall so that's something we'd consider next time. Still, our tour was dirt cheap so we didn't mind so much. 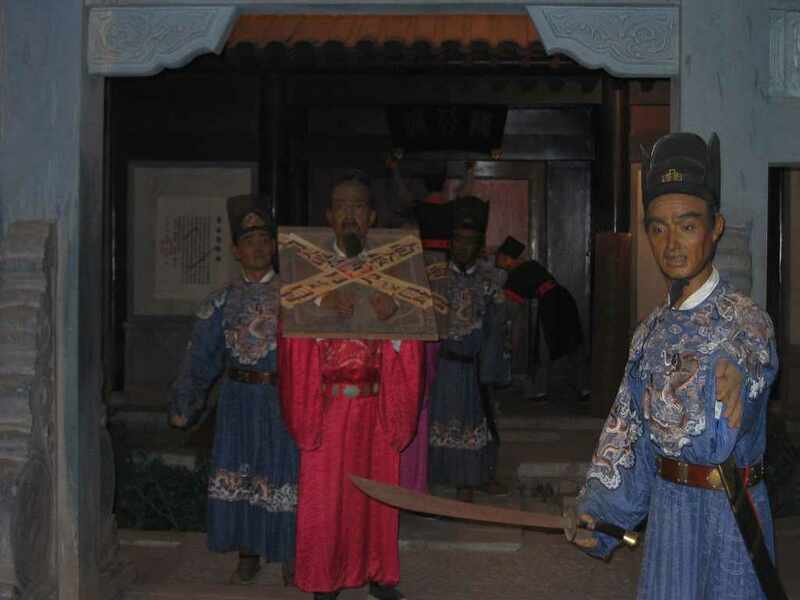 Our first stop was the Beijing Shisanling Waxworks Palace of Ming Dynasty, about 1 hour north of Beijing. 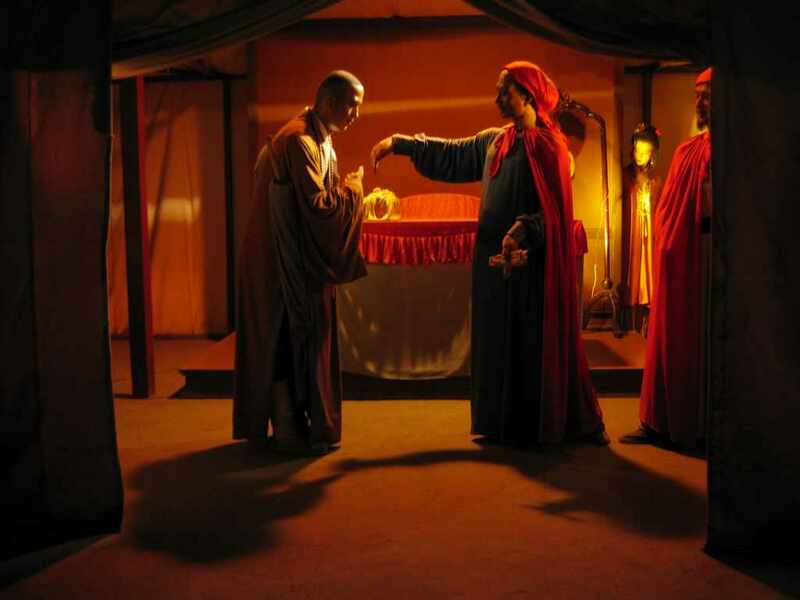 There was a particular waxworks creation from each of the 16 Ming emperors, each depicting a significant event during their respective reigns. Fortunately there were English description panels so that we could keep up. 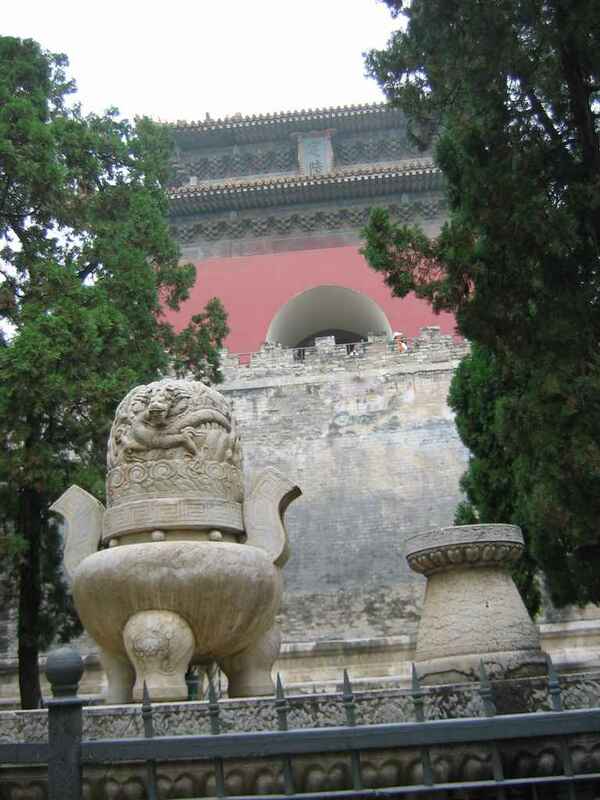 Our next stop was the Ming tombs, where 13 of the 16 Ming dynasty emperor's were buried. Scattered through the mountains here the different emperors were buried. How successful and rich the dynasty was at the time is usually reflected in the lavishness of each tomb. 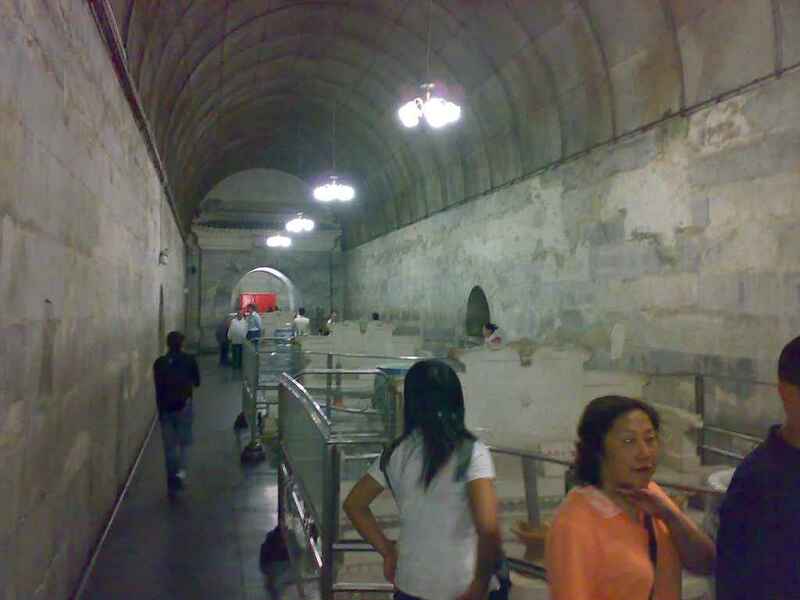 Only the tombs of Changling and Dingling are open to the public. We entered the latter tomb only. 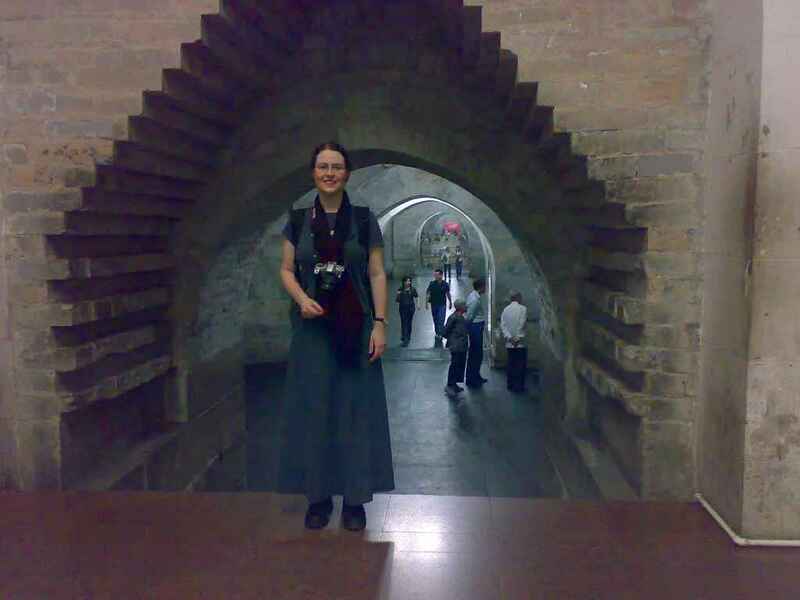 The main points of interest here were the Stone Bridge, the Soul Tower and the Underground palace (tomb). Originally discovered and excavated in about 1958, his tomb was laid out with three chambers in a line with 2 smaller chambers off to the side. The whole thing was constructed underground. To enter we went down about 10 flights of stairs and into the rear of one of the side chambers. Once inside we were presented with these massive interconnecting stone chambers. 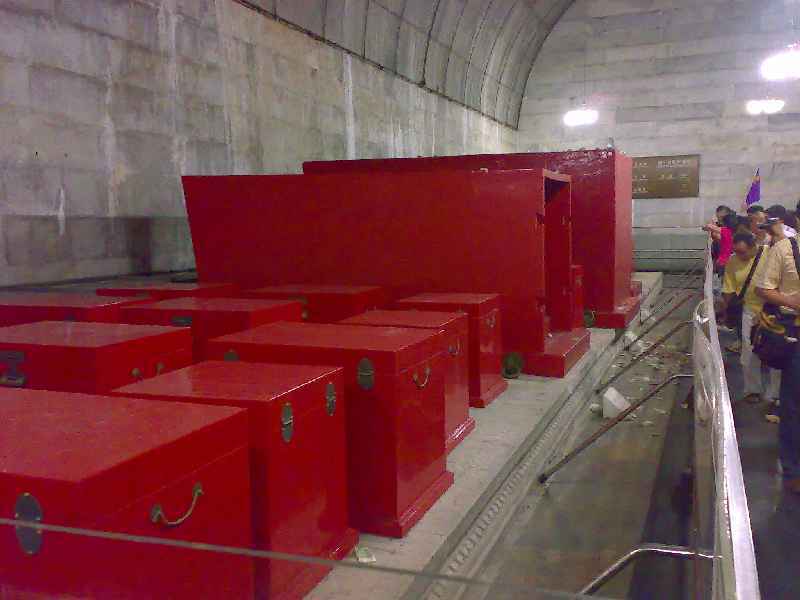 The centre rear chamber is where they found Wan Li's casket (Emperor Dingling), along with the caskets for his two empresses and 40 boxes of articles for the afterlife, all laid upon a marble slab. The originals have been removed and replaced with replicas. 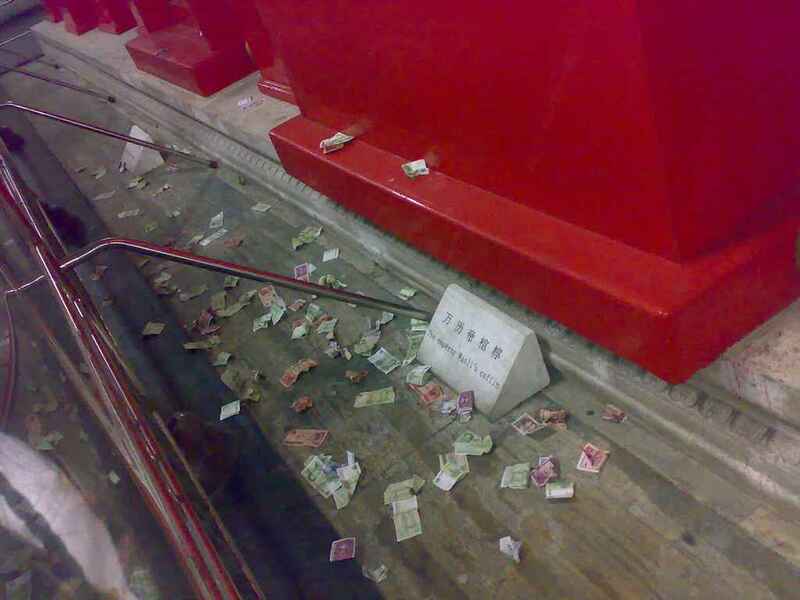 On the ground in front of the casket some people throw money. This is significant for the Chinese for those who trace their lineage back through the emperor. 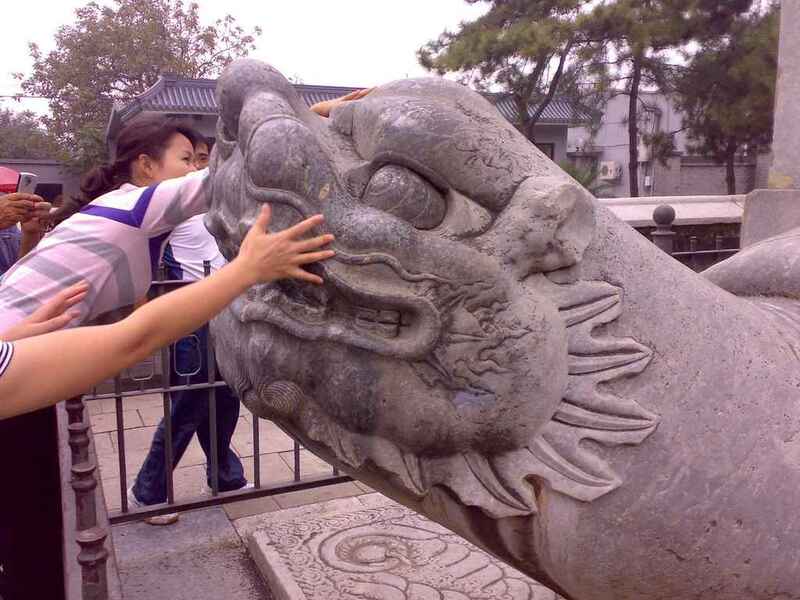 In China there is a lot of ancestor worship and the belief is that by brining your ancestors money (fake or real) then they can bring prosperity to your family in the present. And lets face it, an old emperor of China had more money than anyone else at the time! Lined up down the centre of the very middle chamber were 3 stone thrones, one for each of the empresses and one for the emperor. Finally, we exited out through the original diamond-shaped entry-way into the tombs. Once everything was in place and the emperor safely buried then this was bricked in. After ascending stairs to ground level there was a stone laid in the ground, a place holder showing where the original marker stone for the tomb was found. Apparently upon this stone was written the direction to go and how far to dig down and across to find the buried entryway to the tomb. A handy pointer, I'm sure. 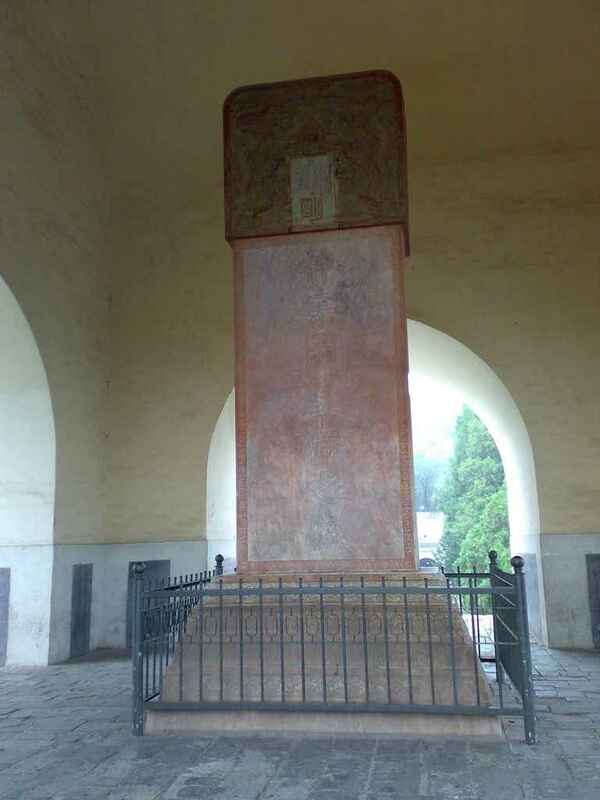 Directly in front of the tomb was the Soul Pillar, quite an impressive obelisk looking thing with plenty of traditional Chinese writing and fine detailing only visible on closer inspection. Although the interiors of the tombs were not highly decorated there's this overriding feeling of thoroughness and completeness that seems to be missing from modern Chinese culture. So many different objects have precise physical alignment, matching fine decoration and artwork, ornate stone carvings and precise sequences of objects. I left the tomb feeling that China has sacrificed a huge part of who it was to become who it is today. From here the bus took us to a Jade shop where we stayet wwwwaaaayyyy too long. It's typical of these sorts of organised tours - you inevitably end up spending a stint at a place where you're encouraged to buy stuff. It was about 2:30pm when we finally left with the hunger pangs well and truly in full flight. We arrived at a restaurant and were ushered out the back to a large hall where there were large round tables and, at one end, a row of vats of food. 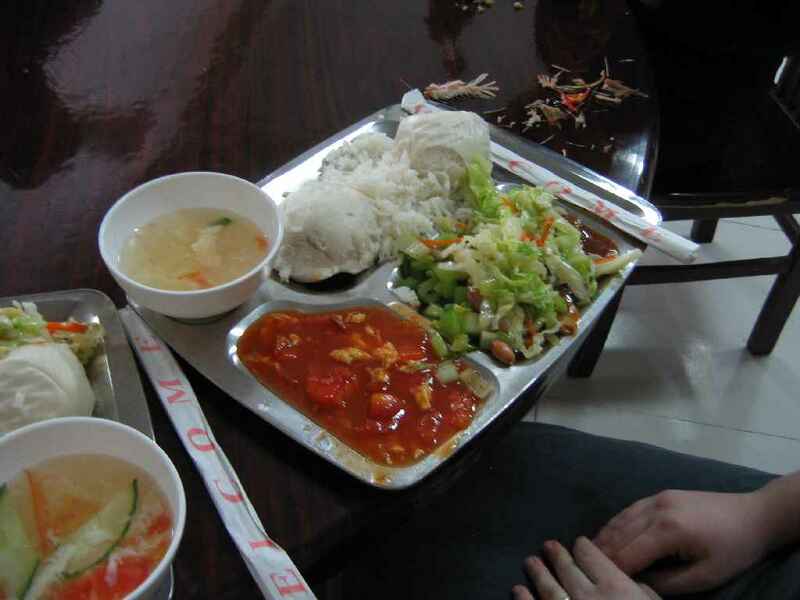 Here the Chinese culture really took over and it was every man and woman for himself as everyone from young girls to 60+ year old women elbowed, barged and pushed their way in front of everyone else to try and get their food first. Some of the vats of food ran dry but they were eventually replenished. We sat down at the last remaining free chairs, pushed aside the pile of fish bones on the table and ate. I still have no idea how the same basic ingredients can result in such tasteless food, but when you're hungry, the quality of the food becomes less important. “Dingling” seems like an unfortunate name for an Emperor. It is very close to “dingaling”. Look up “dingaling” in Wikipedia and you will get a surprise ! Yeah, I thought of “dingaling” too. A somewhat unfortunate name in English. Brilliant photos. Liked the story too.